The ability to unlock the data you need in an accurate and timely way is an important part of making good business decisions. This can be challenging when your data is stored in an ever increasing number of places. How can you get the information you need, when you need it? 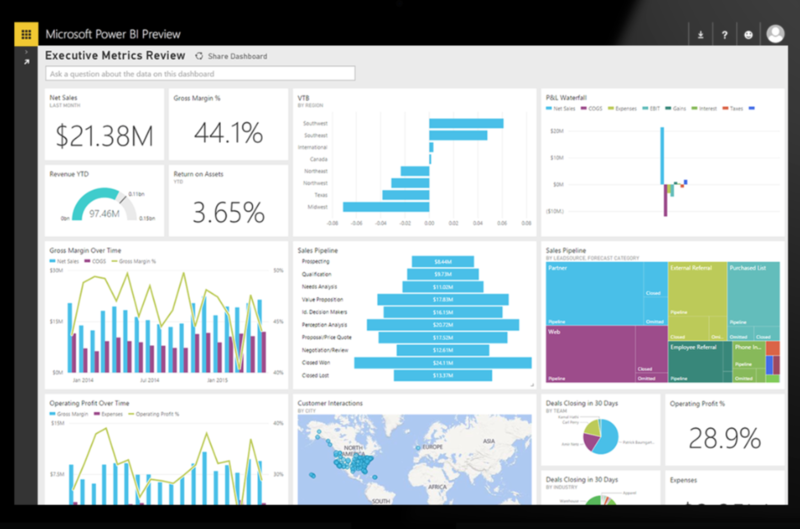 Power BI is Microsoft’s new, cloud based Business Intelligence solution. With Power BI you can analyse and visualise data from a wide variety of sources in one place. Your business data can be stored on-site in SQL or Oracle databases or one of many web and cloud based locations including Mailchimp, Dynamics CRM Online, Google Analytics, SalesForce, SharePoint, Facebook and OData (Open Data protocol). Our Managing Director, Steve Knutson will be presenting at the Digital Workplace Conference (the reinvented SharePoint Conference) at Auckland’s Sky City on the 31st of August. Steve will present examples of how Power BI can improve your Business Intelligence, by giving you timely access to data, when and where you need it. This presentation will have something for everyone from the Digital Marketer and CFO to line managers and sales representative. The New Zealand SharePoint Conference has been re-imagined! The annual SharePoint Conference by ShareThePoint Ltd that has wowed over 500 people for the last 7 years now becomes “The Digital Workplace Conference” – same quality, more content, and a wider audience. This is a unique opportunity to participate in two days of unequalled learning! This event will conclude with a locknote which is the KEYNOTE for Ignite NZ, at the Vector Arena and a party afterwards! The Digital Workplace Conference is held at the Sky City conference centre, Auckland on Monday 31st of August to Tuesday 1st September 2015.